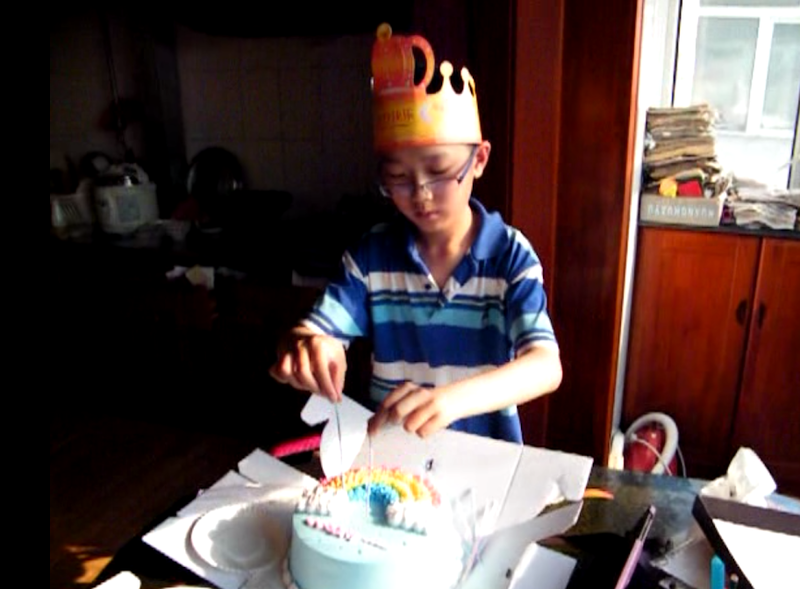 among harsher economy the sinking PRC brought, his dad suffers historic low salary, 1468rmb for May, and his evil mom refused to join celebrating the bright birthday, they still arranged the event online and local in camera. woz peacefully accepted his dad's ascending with cake he ordered online and fetched from his favorite Walmart Qiqihar franchise building, same small local shop he ordered last year for his son's 10 bday. the morning its rained a bit larger than usual in the summer, but turns out a brilliant afternoon in sunshine. eventual summer 2016 in Qiqihar mostly chill and cloudy, like the economic turmor in sinking PRC under tightened dictation and fake worship of the communist leader. under the adversity, the dad and his son, woz, Hope of China, God of Universe, makes a brilliant birthday for ever young and growing mirage of Heavenly. just updated the report on zhoneWeb at https://agarten.in/woz12. glad got woz affirm that he will write for his portal, woga.me for the relay woga.me哦游戏 official blog. we will see later this weekend at the site. Book traversal links for woz in his 11 years on the planet now. ‹ taming lion in dream.